Your Premier Long Island Home Inspection Company | Let this experienced e-Spection Home Inspector help keep you from buying The Money Pit. We’ll alert you to any and all health or safety issues and maintenance needs of the home you’re looking to buy. e-Spection will be your home buying or selling advocate! We are committed to providing you with outstanding service. We’re highly experienced and extremely thorough. If you’re looking to buy or sell in the Long Island New York area, we can help! Owned and operated by inspection specialist, Ernesto Malanga, who prides himself in being committed to following high standards and providing professional service to all of our customers. Long Island FHA 203(K) Inspection. Safety, Security and Peace Of Mind ~ e-Spection! e-Spection Home Inspection Services has been providing Buyer’s Inspections, Certified Move In Ready Inspections, New Construction and Phase Inspections, Builders 1-Year Warranty Inspections as well as Radon Testing, Mold Testing and Termite Inspections (WDO) to home buyers and home sellers in the following areas Long Island, Westchester County and the New York City Metropolitan areas since 2008. 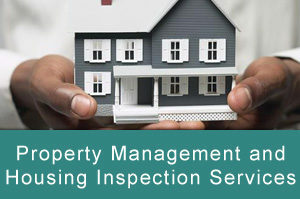 Schedule your Long Island Home Inspection Today! Buying A Home Is Probably The Biggest Investments Most People Will Ever Make. And it’s a decision that will affect you for years to come. No one understands this better than e-Spection. There’s always considerable risk involved when making such a large purchase decision, but a professional inspection will significantly reduce your risk and help make the entire home buying process easier and less stressful.